Cold Basement Dramatics proudly presents the world premier adaptation of Sophocles’ Antigone, adapted and directed by Artistic Director, Jack Bourgeois. The production will take place at Oracle Theatre, 3809 North Broadway, August 8 –18. Opening night is Thursday, August 9 at 8 p.m. Showtimes are as follows: August 10 & 11 at 8 p.m., August 12 at 2 p.m., August 16 and 17 at 8 p.m., August 18 at 2 p.m. and 8 p.m. and August 19 at 2 p.m. Tickets are $20, $10 for students and may be purchased by visiting the url address below. 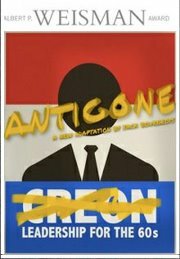 This new version of Sophocles’ Antigone shows us to a fictional 1960s Thebes, wartorn and flooded with fear and unrest. In the midst of the disorder is a budding movement for women’s rights, growing with each passing day. But at the very center of everything stand a girl faced with her own death and the man who must kill her or lose his country. This adaptation returns the roar of rebelling to Sophocles’ classic text. 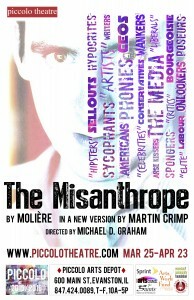 Adapted and directed by Jack Bourgeios and staring Scott Olson as Creon. Basement Dramatics. In addition to studying, with his fellow company members, at Columbia College Chicago, he is a graduate of The Missouri Fine Arts Academy as well as the training centers at The Second City and iO Chicago. 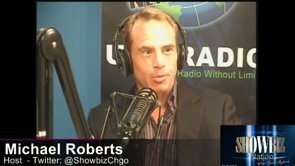 His self-written and produced one-man show THIS ABOVE ALL… premiered in March of 2010 and spawned the now two-year-old Cold Basement Dramatics. Dramaturg) and Emily Stranski (Set Design). Cold Basement Dramatics is an itinerant Chicago theatre ensemble committed to telling stories that explore the things that we hide from ourselves and others.